Work with us involves a carefully planned series of steps, centered around a schedule we stick to and direct, daily communication with our clients. Today, the Office of Horace Trumbauer is located in Pittsburgh PA. We have been building and restoring homes for over a century. We continue our tradition of home restoration excellence, by building high quality homes with integrity and style. Our home restoration experts continue to evolve with the changes in the home building industry by employing contemporary building methods and materials. We offer the latest in expertise in home building science and cutting edge technologies such as geothermal heating, solar, radiant floor heat, and energy efficient building envelope construction. Recently, the youngest Frank completed a Quad certified, Net Zero home in Pennsylvania. LEED Platinum, NAHB Emerald, Builders Challenge, and Energy Star certifications offered this client the highest level of each organization’s respective programs awarded for one project. 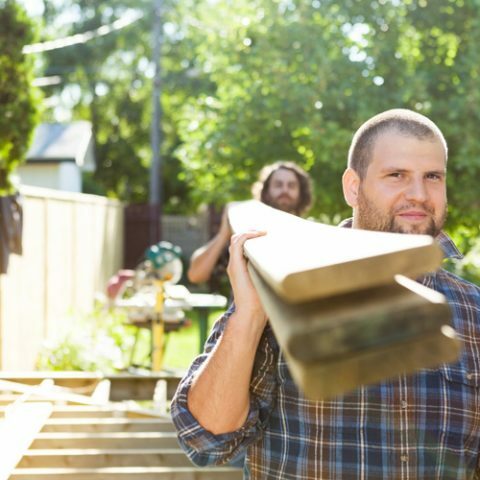 Building a home is one of the biggest decisions of your life. It’s part of the American Dream. You want a home builder who will work alongside of you to fulfill your specific dream; someone who listens and provides solutions to your concerns; someone who you can trust; someone who will be with you every step of the way, someone who is fiscally responsible (i.e., cost conscious) and transparent. The Office of Horace Trumbauer offers you all this and more. Before you decide about your next home purchase or home renovation, you owe it to yourself to discuss your needs and ideas with a company that can offer over a century of proven experience, excellence, expertise, and a proven track record of delivering on its promises. The Office of Horace Trumbauer has been, and is that company. Feel free to get a estimate for your project needs today simply by trying our home remodeling cost calculator below. Request a Home Remodeling Quote Today! See the answers to the most common questions asked. We have a cutting edge project management software program that helps keep our clients abreast of where the project is at all times; decisions that need to be made; and expected completion dates. We often show our clients how we keep our schedule tight and are on time and on budget. How much profit are your taking from an average home construction? Most home builders do not disclose this level of detail to their clients. However, the Office of Horace Trumbauer does. We feel its important to disclose where each and every dollar is going and want our clients to know what we earn to deliver a spectacular home. How do you typically determine the cost of a home renovation project? First and foremost we come out to speak with you at the property. There is nothing more accurate that sitting down and going over every detail before we provide a hard quote and commit to a contract.